1. BETTER PROGNOSIS FOR EYES WITH PRESERVED FOVEAL DEPRESSION AFTER INTRAVITREAL RANIBIZUMAB INJECTION FOR MACULAR EDEMA SECONDARY TO CENTRAL RETINAL VEIN OCCLUSION. 2. Significant Correlation between Retinal Venous Tortuosity and Aqueous Vascular Endothelial Growth Factor Concentration in Eyes with Central Retinal Vein Occlusion. 3. Flicker electroretinograms before and after intravitreal ranibizumab injection in eyes with central retinal vein occlusion. 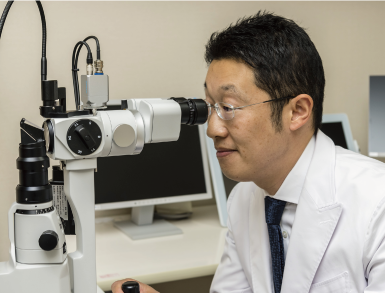 Yasuda S, Kachi S, Ueno S, Piao CH, Terasaki H. Acta Ophthalmol. 2015 Sep;93(6):e465-8. 4. Electroretinograms and level of aqueous vascular endothelial growth factor in eyes with hemicentral retinal vein occlusion or branch retinal vein occlusion. Yasuda S, Kachi S, Ueno S, Ushida H, Piao CH, Kondo M, Terasaki H. Jpn J Ophthalmol. 2014 May;58(3):232-6. 5. Significant correlation between electroretinogram parameters and ocular vascular endothelial growth factor concentration in central retinal vein occlusion eyes. 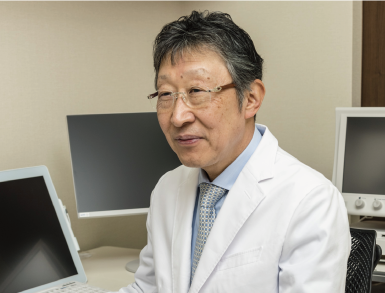 Yasuda S, Kachi S, Kondo M, Ushida H, Uetani R, Terui T, Piao CH, Terasaki H. Invest Ophthalmol Vis Sci. 2011 Jul 29;52(8):5737-42. 6. Rebound of macular edema after intravitreal bevacizumab therapy in eyes with macular edema secondary to branch retinal vein occlusion. Yasuda S, Kondo M, Kachi S, Ito Y, Terui T, Ueno S, Terasaki H. Retina. 2011 Jun;31(6):1075-82.